Powerful Mary Tocco Interview You Cannot Miss! It is with great pleasure that we welcome today one of the most knowledgeable people you will find on the subjects of vaccine safety, vaccine side effects and causes of Autism. Mary Tocco is unquestionably an “expert” on these topics. Having spent over 32 years in the natural health care field, researching the toxic effects of vaccines and their link to diseases such as Autism, and spending the last 20 years busily travelling the world lecturing and speaking to people on these important issues, Mary knows what she’s talking about. In fact, her knowledge on vaccine side effects and causes of Autism are so remarkable that I believe she knows more about these problems than 99% of doctors! Mary’s credentials are also very impressive. She’s on the board of directors for WAVE (World Association of Vaccine Education), is the director for Vaccine Research and Education for Michigan Opposing Mandatory Vaccines, and is part of Mothering Magazines “ask the experts” panel. She is also co-founder and board member of Heart for Autism, an organization dedicated to raising funds for children who suffer from Autism and related illnesses, as well as being on the board of the American Chiropractic Autism Board and co-founder of the Safe Schools Campaign, a terrific educational program that exposes why psychotropic drugs are now the leading cause of violence and suicide in our youth. In addition to this, her amazing educational DVD “Are Vaccines Safe?” was voted #1 by parents for vaccine education and has been viewed by over 250 000 people. Mary is one exceptional woman, no doubt about it. Despite being “crazy busy” at the moment after her well-deserved “America’s Outstanding Mom 2013” award, she still agreed to our interview without hesitation and we thank her immensely for her time. So folks, if you have children, or grandchildren, or nieces, nephews, or are planning on having children one day, then this is going to be one of the most important interviews you will ever read, and trust me, you don’t want to miss a single word! 1. 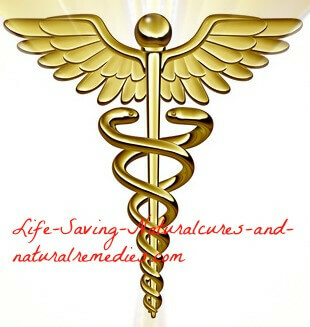 Hi Mary and welcome to life-saving-naturalcures-and-naturalremedies.com. I’m really excited to be speaking with you today because the vaccine debate and exposing the truth about vaccines is something that I’m also extremely passionate about. I can’t wait to hear your answers and opinions. First off, could you begin by telling our readers a bit about your very informative "Are Vaccines Safe" educational DVD and your “Vaccines 101” report...? I began speaking and educating parents on the known dangers of vaccines back in 1995. Back then, there were no DVDs on this topic and a parent would have to order books and spend hundreds of hours reading in order to sift through the information. I found that the information I gathered for 15-20 years was overwhelming. I was meeting thousands of parents face-to-face who were seeking information. I would do my presentation and then the people would fill out a survey which helped me to refine my information to what they felt was most important. Based on those surveys, I created my lectures and then my DVD. In 2006, I released my DVD, “Are Vaccines Safe?” which is a primer for vaccine education for lay people. To date, the information is still accurate and my DVD continues to be a popular source for all people. I still get wonderful reviews and people say that I am easy to follow and that my DVD was life-changing for them! Vaccines 101: Flu Vaccine Facts is a FREE Report on the front page of my website for all to copy and share! I wrote this in response to the yearly “flu vaccine campaign” because I am really tired of the misinformation and scare tactics the media and doctors use to get people in for the vaccine. Information is a powerful tool that can help to remove fear and help people to make better decisions. 2. I like the analogy that you give about why we inject our kids with vaccines that contain chemicals such as mercury, aluminium and formaldehyde yet if you injected an apple with these chemicals and asked someone to eat it they would think you are nuts! So why do you think that many parents are okay with their kids being injected with these highly toxic chemicals? Do you think it’s a lack of awareness on their behalf, or is it simply easier for them to just believe and follow the advice of their doctor or paediatrician rather than have to decide for themselves? I mean, the sad fact is some people just blindly do what their doctor tells them to do because “they’re the doctor”? 3. I’d like to stay on the subject of ingredients in vaccines because I was astounded when I saw the list on your website. I mean, “Chicken and duck embry” and “Human diploid cells from human aborted fetal tissue”. My god! I bet the average person has no idea about these ingredients. Their doctor probably doesn’t even know about them either. So what’s the actual theory behind what goes into vaccines and is there any real, substantiated proof that they even work? (1.) It is not right to compare eating (ingesting) to injecting. When we eat foods that contain toxins, our gut is designed to eliminate (chelate) those toxins. When you bypass the gut and inject into the muscle, you are exposing those viruses and other ingredients to the blood system, muscles, tissues, organs and eventually they make their way to the brain. By injecting, you bypass all normal protection, leaving all organs and tissues vulnerable. Our brain is only partially protected by the blood-brain barrier and scientific evidence is proving that these toxins (thimerosal and aluminium) are getting into the brain. (2.) Mercury we ingest when eating fish is methyl mercury and the mercury (Thimerosal) used in vaccines is ethyl mercury. National Institutes of Health (2005) said this about ethyl mercury... “Ethyl mercury is more toxic than methyl mercury because it crosses the blood-brain barrier quicker and converts to inorganic mercury. This inorganic mercury is most difficult to excrete and stays in the brain longer and in higher levels.” The CDC doctors compare the two as though they are equal and imply that they are safe to inject. I call this double talk to confuse the issue. There is not one study showing it is safe to inject toxic adjuvants in humans. I cover this extensively in my DVD and in my lectures. I will close with a quote from U.S. top mercury researcher, Boyd Haley, PhD department of chemistry, University of Kentucky (2001), “A single vaccine given to a six pound newborn (containing thimerosal) is the equivalent of giving a 180 pound adult 30 vaccinations on the same day”. (1.) Vaccines will never offer the same protection that natural immunity offers. According to Dr. Stephen Marini, immunologist, PhD biologist and chiropractor, vaccines are based on an “out-dated understanding of the immune system”. We began vaccinating over 80 years ago and scientifically, we knew little or nothing about the immune system. I quote Dr. Marini and other immunologists in my lectures because they expose how little modern medicine understands immunity and how flawed the theory of vaccinology really is. Most doctors do not even know the university immunology text books were rewritten in 1995 to reflect our newer understanding. To summarize... vaccines suppress the immune system so that it is unable to “express” the illness and as a result, we are causing dozens of new chronic illnesses. We are altering human DNA and RNA by vaccinating like no other time in history and I believe it is an experiment on the human race. In my DVD and in my lecture I show graphs and charts of major outbreaks across the nation in fully vaccinated children for pertussis, chickenpox, measles and rubella. Vaccines do not work. They are causing more illness in this generation of children including, but not limited to: Autism, asthma, allergies (food) Crohn’s and gut disorders, seizure disorders, ADHD, learning problems, SIDS, diabetes, depression and other mental disorders. Vaccine toxins are disrupting the delicate balance in the brain and body and I fear for this whole generation of children. 4. Your website childhoodshots.com is by far one of the best websites I’ve come across on vaccines, infectious diseases and natural pregnancy. There’s so much good information that every person, whether they have children or not, really needs to know about. So could you tell us how it actually came about? When you started it back in 2003, was there even any decent websites out there on vaccines? (1) Common diseases we vaccinate for showing history, incidence and statistically prove how they are not a real threat to society. (2) The benefits of raising children from a natural approach, benefits of breastfeeding, natural immunity and promoting health. (3) A place for me to publish articles about current events and vaccine topics like autism, flu vaccines etc. (4) Promote my educational tools (fully research based) to help people sift through the miss-information. (5) Highlight my speaking schedule and other public events. This website is a huge work in progress, but will be a one-stop place for information about raising children naturally and much more! I have accumulated 30+ years of knowledge on how to raise drug-FREE healthy children, natural birth, healing naturally, detoxification, healing autism and other chronic illnesses with a focus on encouraging people to get healthy. For years, I have been asked to impart my knowledge so the first one is almost finished and for a small fee, people can learn from my years of knowledge and experience. With the fast pace in today’s society, this is the most efficient way for people to “pick my brain”! 5. Over here in Australia, vaccine rates have dropped sharply in the last few years. There were some tragic stories about children being vaccinated and then suffering terrible complications that made it into the mainstream news. Recently, to get the vaccination rates back up our government tried to bring in a new law that said if you don’t get your child immunised, and keep their immunisation up-to-date, then you would lose your childcare (assistance) rebate. They were later forced to back down on this amid fears they may breach anti-discrimination laws. There are also reports that many schools and childcare centres over here are refusing to accept kids who are not properly immunised. This is the frightening reality of what’s happening now. They are trying to force parents to vaccinate. So what are your thoughts on this Mary? Do you think the world is going to get to the stage where every man, woman and child must be vaccinated by law. I know if Bill Gates had his way we’d have it? This is also a real fear here in the states. That is why I am working hard to raise awareness. The solution... people need to stand firm and refuse to be pushed around. The more people that are educated, the more they can share with others and eventually, enough people will stand together and force a better solution. This is a “human rights” issue. We need to communicate with respect and knowledge to those who would like to call us irresponsible and focus on the facts. Unfortunately, the mainstream media is bought and paid for by big pharma so they continue the propaganda machine. Vaccines have been the medical bread and butter for over 80 years. They are not going to let up… there is too much money on the table. We must continue to push forward and keep the “Vaccine Education Revolution” going! That is the name I coined this movement several years ago. It's now wake-up time for all human beings who believe in freedom and human rights. We are running out of time folks! 6. Continuing on from the previous question Mary… A few years ago when our youngest daughter was still at high school, all female students were offered the HPV (human papilloma virus) vaccine for free. Of course, we flatly refused it for our daughter (don’t even get me started on the HPV vaccine!). We then had a letter sent home by the school “encouraging” us to get our daughter vaccinated and the school nurse even went and spoke to our daughter directly to try and convince her to get the Gardasil vaccine. To say that this made me “as mad as a snake” would be an understatement! And we weren’t the only ones who received this type of harassment. So why do you think there is such a strong push for vaccinations now? I mean, doctors, nurses, politicians, congress men and women. It seems to be coming from everywhere! Here are 9 reasons why they are so powerful and monopolizing healthcare. I cover this in my vaccine presentation, “Vaccine Risks, Responsibility and Rights.” I also plan to release my new talk DVD in 2013. 1. Pharmaceutical companies contribute to political campaigns: congressmen, senators, presidents etc… so they can get their bills passed and their agenda in the system. 2. No financial liability for death or injury, financially protected by government. 3. Infiltration into every area of our society: military, schools, workplace, government, medical profession, media, laws and courts. 4. Multi-billion industry with 164 companies world-wide. 5. No transparency in agencies - CDC Vaccine (secret) Safety Database. 6. Fastest growing therapeutic area in medicine, passing up oncology. Expected 14% growth in next 5 years because they influence media, government etc. 7. Growth attributed to advancements in technology, federal liability protection for developers, increasing global demand and premium pricing for new products. 8. Expected to achieve $34 billion in sales by 2013 if nothing disrupts agenda. 9. Vaccines contain chemicals and adjuvants that can lead to infertility. It is all about money and control. 7. On a lighter note Mary, I know you recently won the “America’s Outstanding Mom" award for 2013. Can you tell us a bit about this and what it involves?  Only based on children born in the year 2000, who are now between the ages of 8-12. This does not include children between 2–7 years of age!  Autism currently affects 1 in 38 boys.  In some states, there are much higher rates: Utah, 1 in 32 boys are autistic.  There has been a 300% increase in the last 11 years! Considering that in 1980, autism was very rare, statistically 1 in 10,000, this should be a red flag that something in the environment is causing this epidemic. I believe that few physicians understand autism and most people do not know how it is devastating the families. My goal is to raise awareness and bring up the discussion about the “environmental causes” and highlight how sick these children are. They suffer with gut disorders, metal toxicity, enzyme problems, yeast over growth, food and inhalant allergies, neurological disconnect malnourishment and other health problems. When these health issues are addressed, the quality of life increases for these children and some even recover! The largest problem facing families is the funding to get the help that is available. Most of the treatments that help heal the body are natural, therefore, insurances will not cover the care. I will continue to raise money for “Heart For Autism” (www.HeartForAutism.com) non-profit to help get the families the needed funds. • Three generations of vaccinated people. • Vaccines given to pregnant mothers. • Labor drugs, Oxytocin and prostaglandins. • Antibiotics while in labor (Strep B+). • Vaccines (38) first 2 years of life. • Resulting in... the perfect storm called "autism!" I am hoping the title; “America’s Outstanding Mom 2013” can open some new doors for me. I am looking for a nutritional company or product, which is helping to heal these precious children, to sponsor me. I hope to get on all major TV talk shows, top radio programs in the country and make appearances across the USA. All of this takes finances but this company will get lots of attention and great PR. The brain (our living generator) and spinal cord (the communication system) along with millions of nerves make up the nervous system. The nervous system controls all healing and function in the body. Because the spinal cord is housed in the spine, which is made up of 33 movable joints, trauma and stress can cause the bones to misalign and put pressure on the spine and nerves (subluxations). Chiropractors are trained to look for subluxation (interferences) in the nervous system which result in a reduction of function and cause damage. If you have damage to your nerves, it is a known fact what will happen to your organs… they get sick and eventually begin to malfunction. If an organ is malfunctioning, it is never the organ; it is always the nerves controlling the organ. 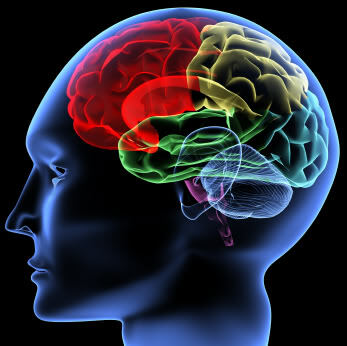 The immune system in intricately connected to the nervous system and relies on the nervous system for function and development. Science has proven that children who grow up with chiropractic care are healthier and need less medication. Chiropractors work with the body from a holistic understanding… they have acknowledged for over 100 years that all healing comes from the nervous system. In 1995 the university immunology text books were rewritten to reflect a new area in medicine called, NeuroImunology because “modern” medicine finally figured it out! Unfortunately, they still look at the body from an “allopathic” model called mechanism. They look at the body in parts and give little focus to function, nutrition and natural immunity. Thus, they rely on drugs and feel that the body is flawed and incapable of sustaining life outside of medicine. I call this “selective blindness” because drugs and surgery are the tools they use to make money. As the foundation of conventional medicine keeps coming apart at the seams and erosion of trust continues, you just can't afford to let anyone else besides yourself take responsibility for your health care decisions. I am proud to say that I have 2 daughters who are chiropractors and all of my 5 children are carrying on the tradition: 5 grand children (one is a step grandchild), 4 born naturally and being raised the same way with chiropractic! No drugs, No formula, No pediatricians, No vaccines, No ear infections, No asthma, learning problems, depression, gut disorders, ADHD, autism or other health problems now plaguing most American children. As the saying goes… my nuts didn't fall far from my tree! I am a proud Nana too. 9. The evidence that has been presented on the link between vaccines and autism is compelling and almost overwhelming, in my opinion. You are now calling for a “Vaccine Education Revolution”. So what is this all about and can you see it happening? I actually coined the term, “Vaccine Education Revolution” because I have watched it happen over the last 15 years and have been a major moving force behind it too. When I started to do my own investigation in 1979, vaccine information was carefully hidden from laymen. There were a few good books that challenged the science of vaccines and also told of terrible stories of vaccine injuries. We did not have the internet, which is the reason for the “Revolution”. Truth has a feel to it! I knew in my gut that the public was being deceived and that a “good intended theory” was playing out bad. The money machine was so entrenched in society behind the vaccine policies that anyone who came against vaccines or even threw up a red flag was discredited. Physicians were not willing to talk about it. Because I do not have a license and do not practice medicine or any other type of licensed health care, I am able to freely report what I find. We still have some freedom of speech here and hopefully we will continue to do so. Autism (or brain injury lie autism) is caused by vaccines and other contributing factors. Our government secretly settled 83 Vaccine-Autism Cases in the last 20 years, and on January 14, 2013, our Vaccine Court settled 2 more autism-like cases costing tax payers over 50 million dollars. They know exactly what is going on and they are stone-walling because it will cause a huge financial crisis like a tsunami wave hitting our country! When I meet a parent with a child who has autism I ask them if they could do things over… would they trade the autism for a couple weeks of measles, chickenpox, whooping cough or any other illness? They always say that they would NEVER vaccinate again and would take their chances with the illnesses they were mistakenly trying to avoid. 10. Mary, I really could go on asking you questions all day but I promised you no more than 10 (I actually had so many I found it hard to narrow them down) so I will finish with my last one. Before I do though I would like to say a big "thank you" for taking time out of your busy schedule to speak with us and answer our questions. I would also like to encourage all of our readers to check out Mary’s websites childhoodshots.com, VaccineDVD.com and HeartForAutism.com. She really is doing a fantastic job in exposing the truth about vaccines and autism and deserves our support. You can also catch Mary every Saturday between 4:00 -5:00 pm (U.S. EST) on her “Healing Our World” radio program at www.republicbroadcasting.org. So for my last question I would like to ask you what your plans for the immediate future are. Are there any new projects on the horizon or is there anything that you are planning on giving special attention to? I plan on making the next 12 months as “America’s Outstanding Mom 2013” as productive as possible. Unfortunately, my passionate dedication to the autism/vaccine crisis does not pay the bills so I will be moving to South Carolina this fall and working with my daughter, Dr. Renee Hunter and her husband, Dr. Matt Hunter to help open a new chiropractic clinic. I have been single for 11 years now and most of that time has been dedicated to this mission. I know this is my calling and trust that the good Lord will open the windows of financial blessings on me so I can continue this work. I will never stop doing lectures, radio interviews, posting on Facebook or helping people. I will still educate and reach thousands who are seeking information. I will be working in the wee hours at night after my day job! I work for the babies and children. My heart cries out to those who will be vaccine injured because Mom and Dad didn’t know better. If someone out there in the world feels led to contribute to my cause, they can donate via Pay Pal. They can also donate from my website and the sales of my DVD and other products also help me. I appreciate any contribution that will help me keep going. I do sell them in bulk for those who want to carry my products in stores or online. 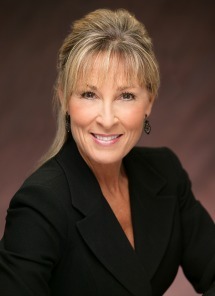 My email is mary@marytocco.com and be sure to check back regularly on my website for new educational materials. I would love to come to Australia and ignite a Vaccine Education Revolution! Perhaps you can do some brain-storming and sponsor an event for me! As a Christian, I will leave you with this quote from the Bible: Ephesians 5:11“Take no part in the unfruitful works of darkness, but instead expose them”. Thanks again Mary, and we would certainly welcome you with open arms over here in Australia. I’d better put my thinking cap on now and come up with a way to get you over here!